One of the most traditional and quintessential of all British summer games; garden croquet set is a must for your garden party. 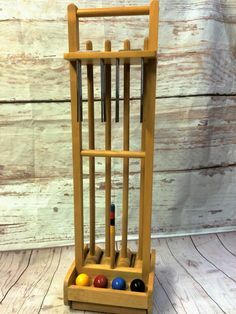 Croquet set includes six metal hoops, four wooden mallets (height 31”) and four brightly coloured balls, all supplied on a wooden stand. Other croquet sets also available.